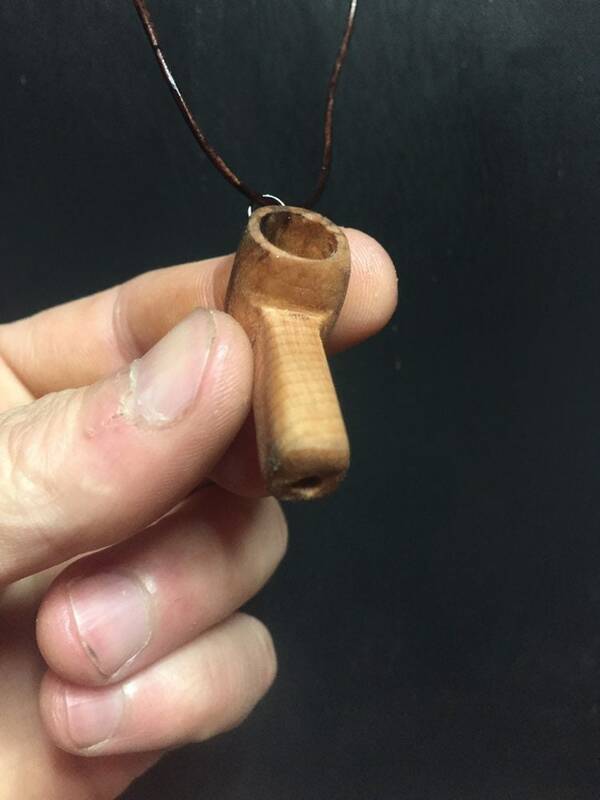 This is a wood carving of a miniature pipe. 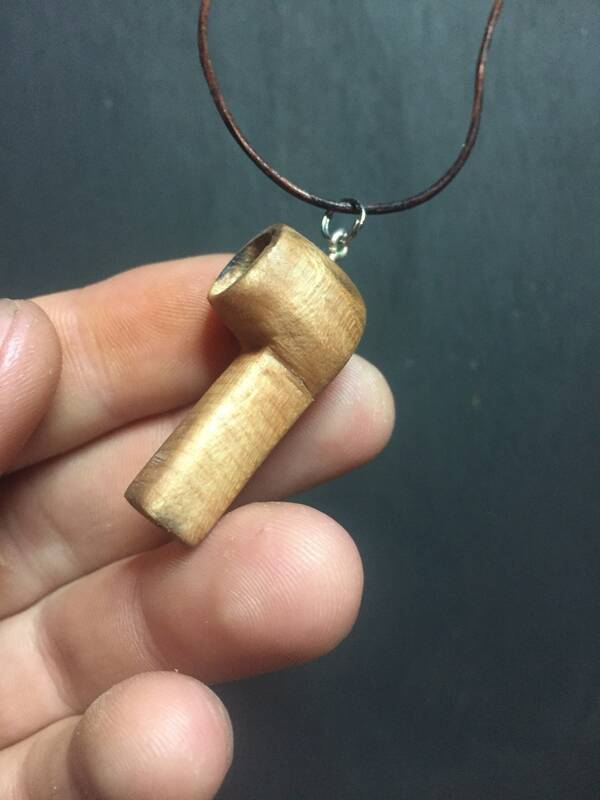 I like to call it a “puffable pipe pendant.” I made it so that it is actually smokable. Cool, right?! 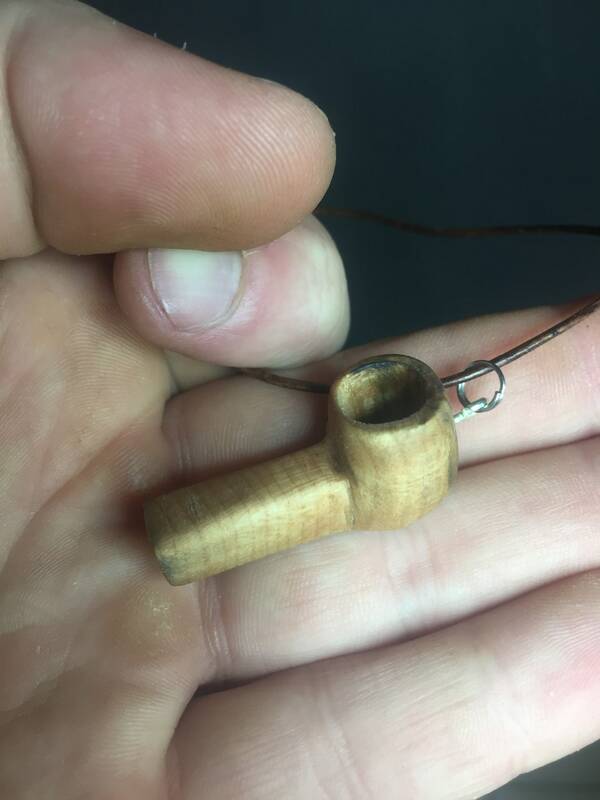 I made this pipe in Curly Maple wood, and finished it using mineral oil. 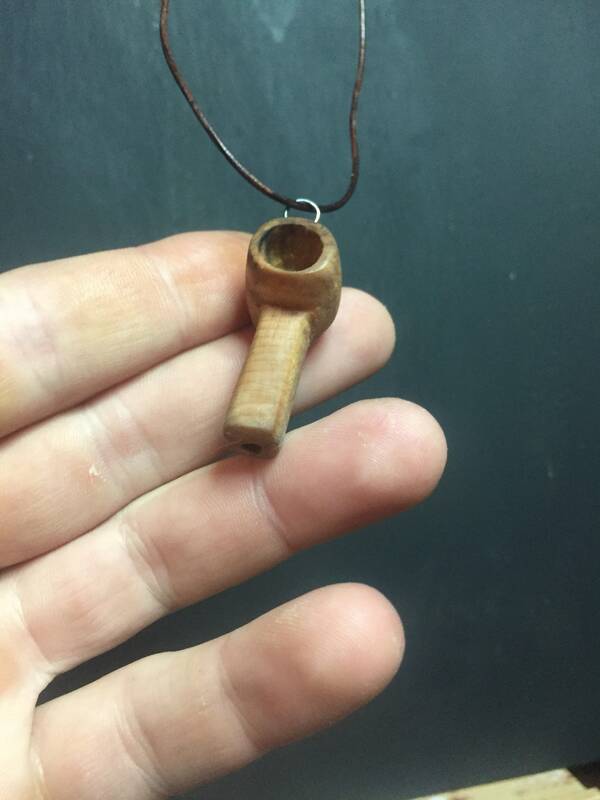 I used a drill, carving bits, small knives, and sandpaper to create this unique, little pipe. 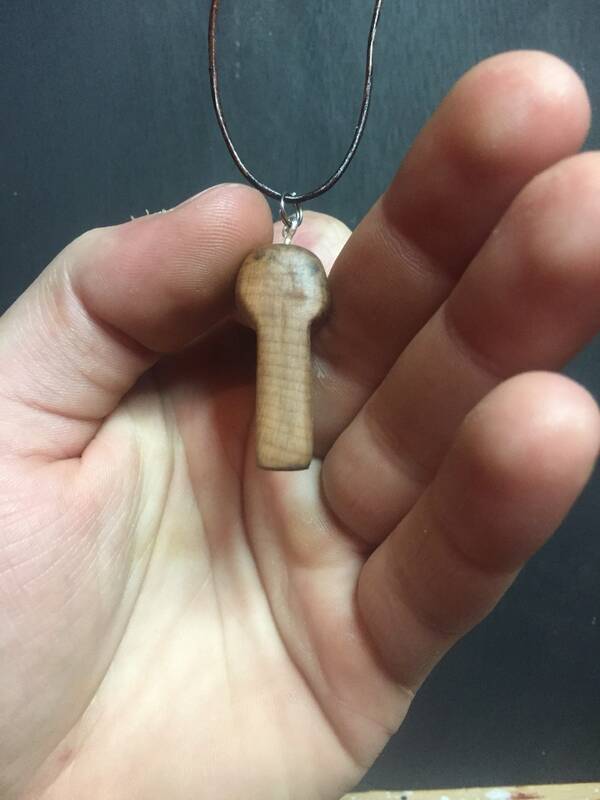 I used a sliding knot method for this necklace. 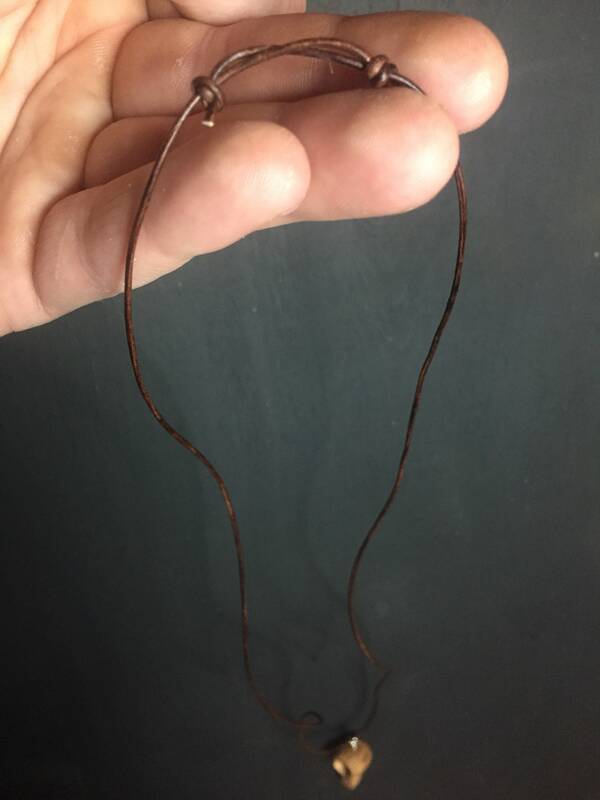 It is very simple to make the necklace larger to fit over your head, and make shorter to your desired length. TO GO TO MY SHOP: https://www.etsy.com/shop/JoshCarteArt. 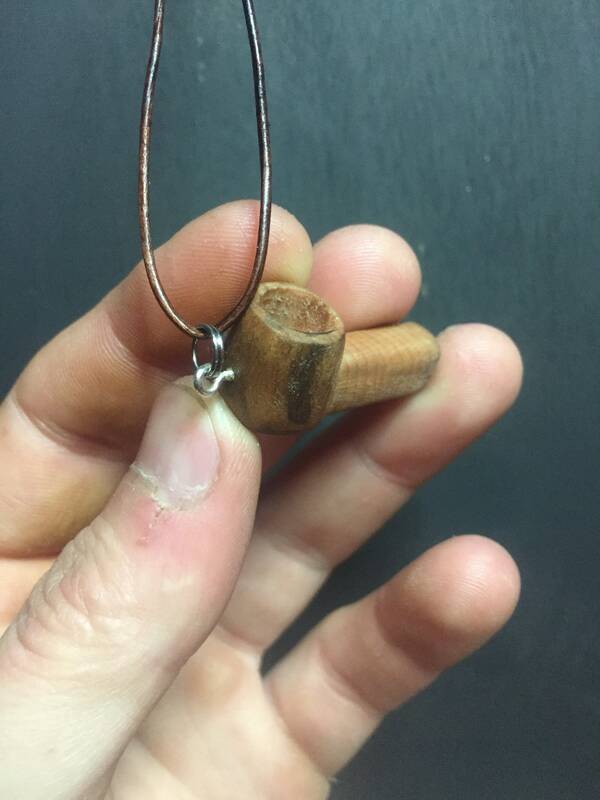 I make a lot of different types of carvings: pendants, walking sticks, Art that hangs on the wall, and a whole lot more. Need a cane made for your dad? I can do that. Want a Frankenstein bust for Halloween? I can do that, too. I love to carve! I do this everyday for a living, because I enjoy it so much, and I really thrive on improving daily.